Glass handrail fitting to suit stainless steel 50 x 10mm handrail. This glass balustrade fitting suits 12mm thick glass with 16mm to 20mm holes and is made from high grade AISI 316 stainless steel. 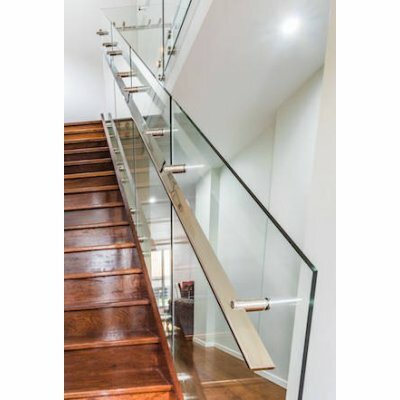 Rectangle hollow section stainless steel handrail is available by the metre, click here to view handrail - RHS 50mm x 10mm Stainless Steel Tube.